From the author of Earth: An Intimate History, a 'biography' of four acres of woodland, evoking a cosmos of living and inanimate things and imagining its millennia of existence. Fortey realized that the account of his wood needed to be conducted on two levels, the human as well as the scientific, because the English countryside has been shaped for millenniums by people. The results, presented in The Wood for the Trees, are fascinating ... If it has a fault, it is that this is a book that does not really catch at the heart. Toward the end, Fortey proclaims his contempt for the emotional aspects of modern nature writing; he is inflexibly empiricist ... Yet these are trifling blemishes in an account of one small place that conveys unforgettably the staggering variety and abundance of the whole natural world. Thankfully, Mr. Fortey doesn’t pretend to be treading virgin territory either in literature or in his forest. But he makes the genre a fine playground for his characteristic blend of wide-ranging curiosity, deft observation and deep research. His heart is in the intimate examination of nature, but he pursues this passion without sentimentality ... The writing is wryly erudite ... The book is less successful, though, in its supposition-heavy attempts to fit Grim’s Dyke Wood into the larger scheme of history ... Even so, the book sets an excellent model for people wondering whether there should not be more to life than the necessary round of getting and spending followed by endless click time in front of the television set. 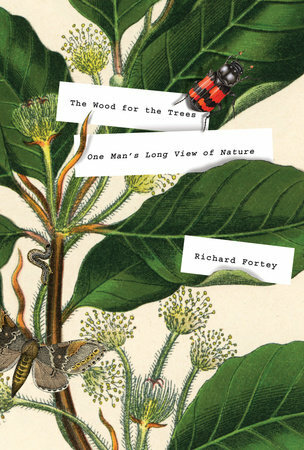 What did you think of The Wood for the Trees: One Man's Long View of Nature?